The Racoon-Xtend award-winning product range is designed to work in harmony with Racoon International hair extensions and keep your client's natural hair also looking salon fabulous. 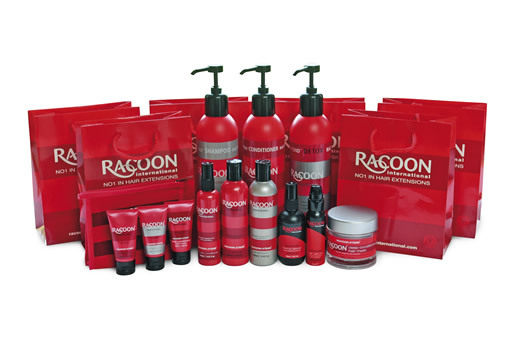 Racoon-Xtend products are specially formulated to cleanse, condition and maintain hair. The award winning Racoon-Denman brushes have been specially designed for use with hair extensions. The widely spaced, fine bristles and softer than normal cushion protect the bonds and allow the brush to run through the hair at the roots without snagging the bonds. The Racoon-Denman combs are perfect for use on wet hair. You should never use a brush on Standard Deepwave or Standard Softwave making Racoon-Denman combs ideal for everyday use.